Considering a full-time course for 2019? Why not come along to our open day and find the course that is right for you? Open Days offer prospective students the chance to meet with current students and staff, take a tour of the college and find out more about the courses you are interested in. 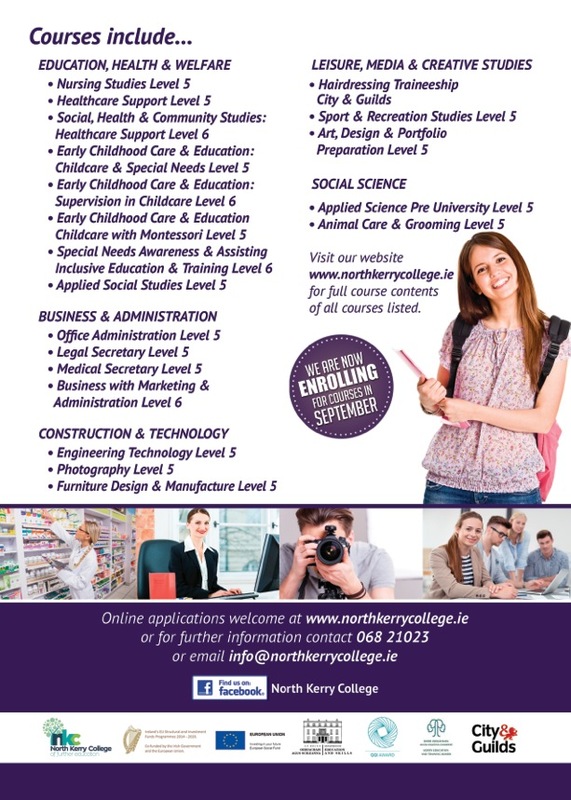 The courses offered in the college combine practical training with the development of strong academic skills and to meet the demands of students and employers new courses have been added to the 2019/2020 academic year. 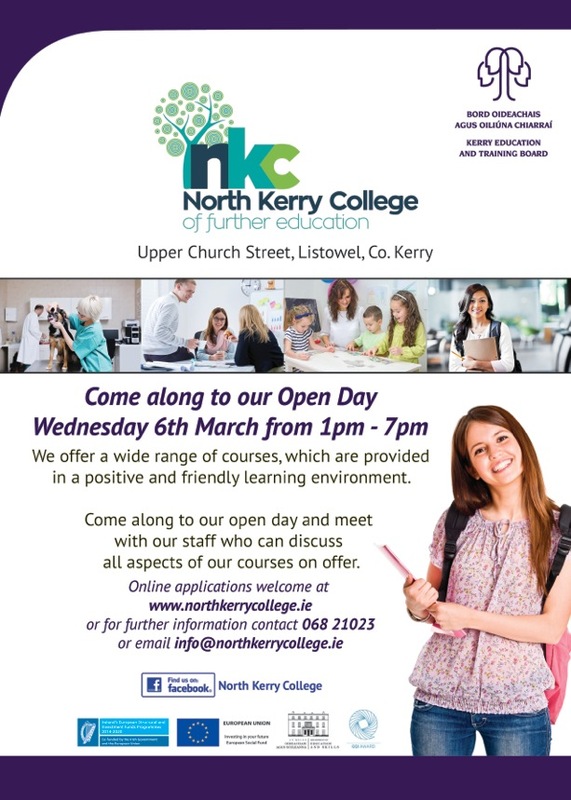 Visiting the College is a great way to get a feel for the unique atmosphere, excellent facilities and highly sought after programmes that mark North Kerry College of Further Education apart from other Colleges of Further Education. 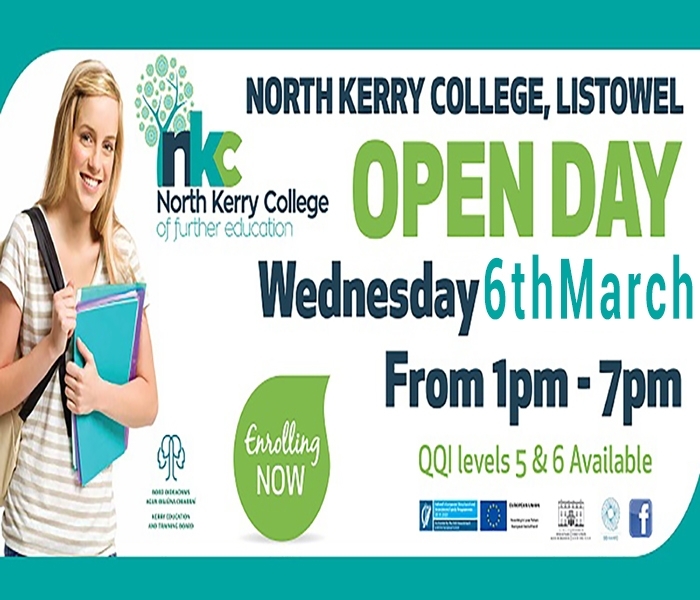 North Kerry College of Further Education graduates have gone on to achieve career success in a wide range of industries and many have progressed to third level colleges such as University College Cork, Mary Immaculate College Limerick and the Institute of Technology Tralee.